Having traveled many stretches of Spain by myself, Portugal has been on my list for a while. So when my friend Ali met and decided to marry a stallion from Porto, I knew I had to be there to show my love and support, and eat all the shellfish I could get my hands on. 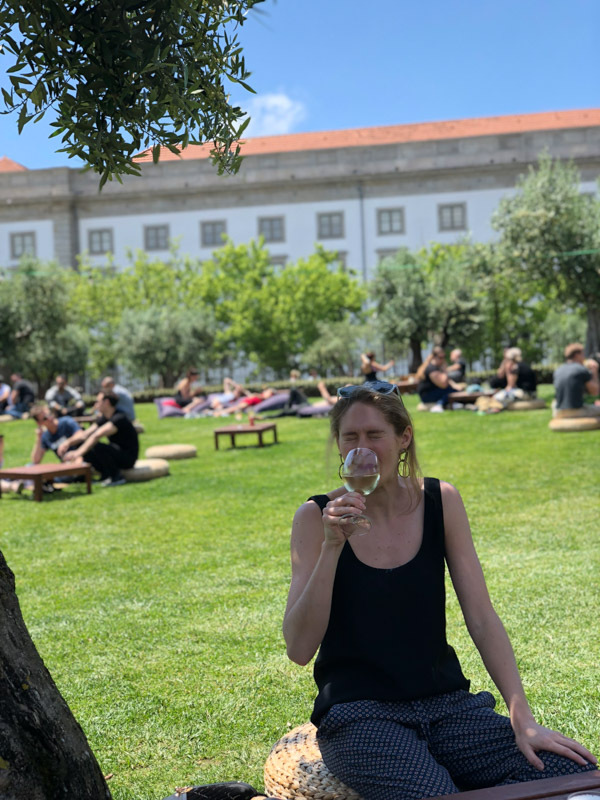 I will go into more depth about gluten-free cuisine in Portugal in my next guide on Lisbon, but overall it’s a fairly easy country to eat “clean” and simply. While in Porto, my cup runneth over with crispy potatoes and buttery octopus. Simple grilled fish was served alongside cauldrons of tomato rice. And freshly cut jamon lined every table I sat at. I stayed at a lovely two-bedroom Airbnb on the edge of city center that I’d highly recommend for both the design aesthetic and hospitality. 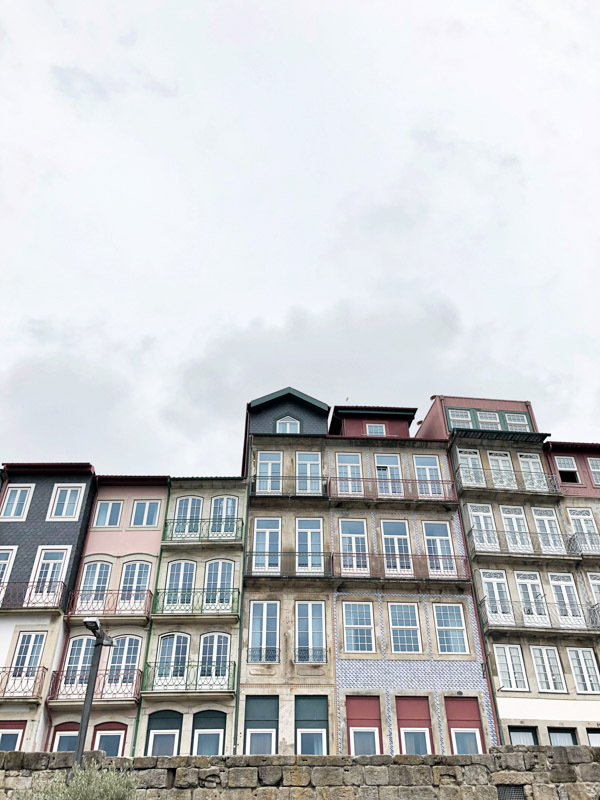 The operative word in Porto is cozy. That goes for most of my surroundings, especially my accommodations. But it was also the adjective most used for restaurants. If you pull up any of the recommendations below on Google Maps, you’re likely to see “cozy” as an actual label describing them, and I also found it peppered throughout the thick packet of restaurants that my Airbnb host gave me. 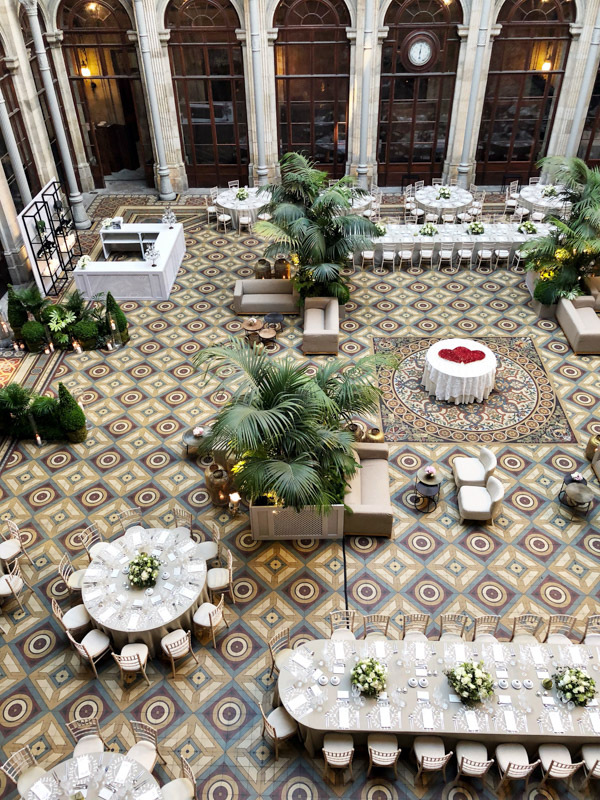 It applied to a wide array of aesthetics and establishments. And yet most of them still lived up to that description in each of their own special ways. 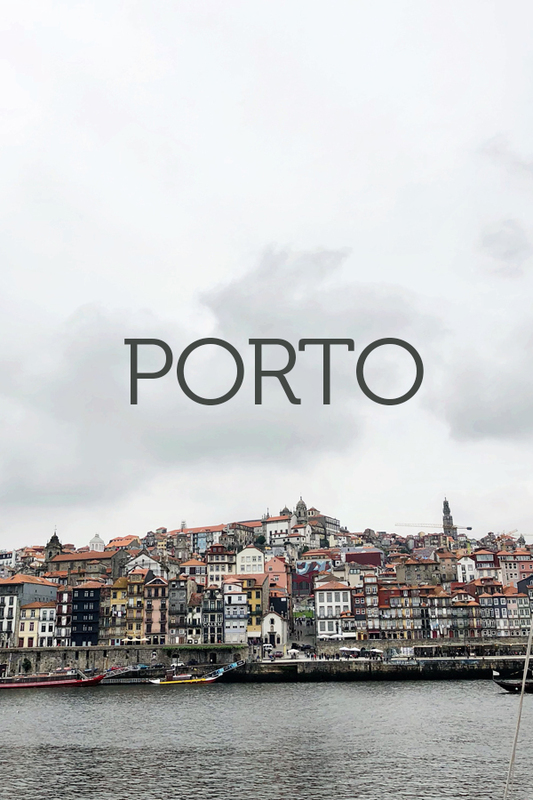 As a whole, the city of Porto is indeed cozy. It’s also moody, colorful and quaint. It’s a completely different city in the sunshine than on a cloudy day, and on the latter, I could see how J.K. Rowling had conceived of her wizarding universe while living there–some of the university students even wear capes as part of their dress code! 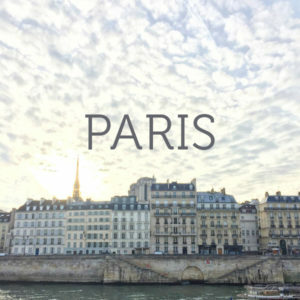 You can easily walk the narrow, meandering streets in a few days. In fact, it’s pretty impressive how many recommendations I have, considering I was only there for a long weekend, and two of the nights were spent at wedding festivities. But it seems that all I did in my spare time was eat! And when the nights raged on until long after 1am, there was even more time for extra meals. 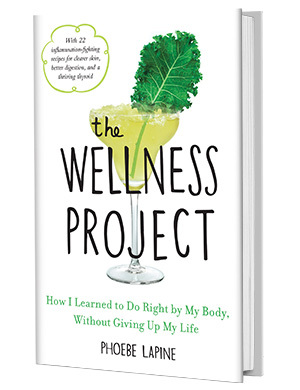 Read on for some of my favorite restaurants, what to order there that’s gluten-free, and what to do to work off your meals. Mercador Cafe – On one of the main tourist thoroughfares, this cafe is a perfect mix of western breakfast fare and authentic Portuguese pastries. 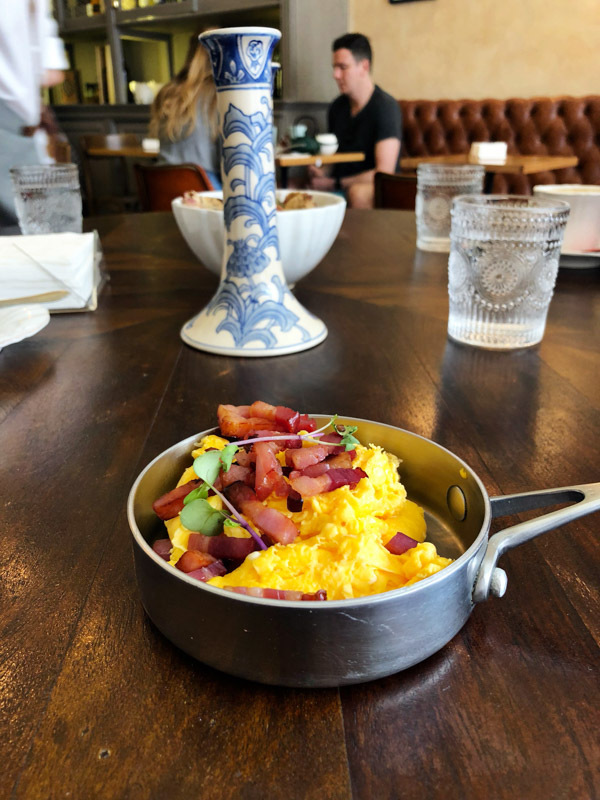 The silky scrambled eggs come in a cute little saucepan topped with thick cut bacon – perfect for those who crave a simple breakfast. Though I couldn’t eat it, the grilled cheese sandwich looked like the perfect combination of thick, chewy bread with a light toast and stringy melted cheese. There’s also green juice to balance it out. 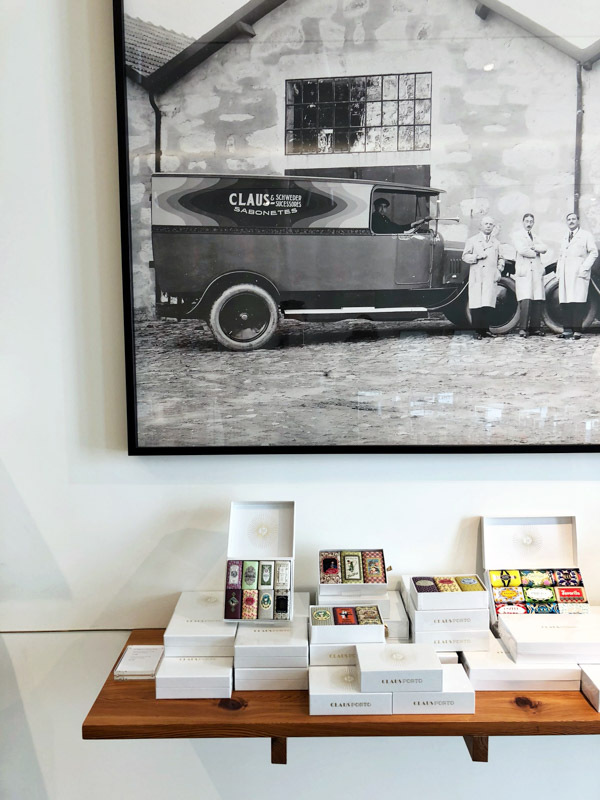 Claus – One part soap shop, one part museum, this store is worth a visit for the space alone. 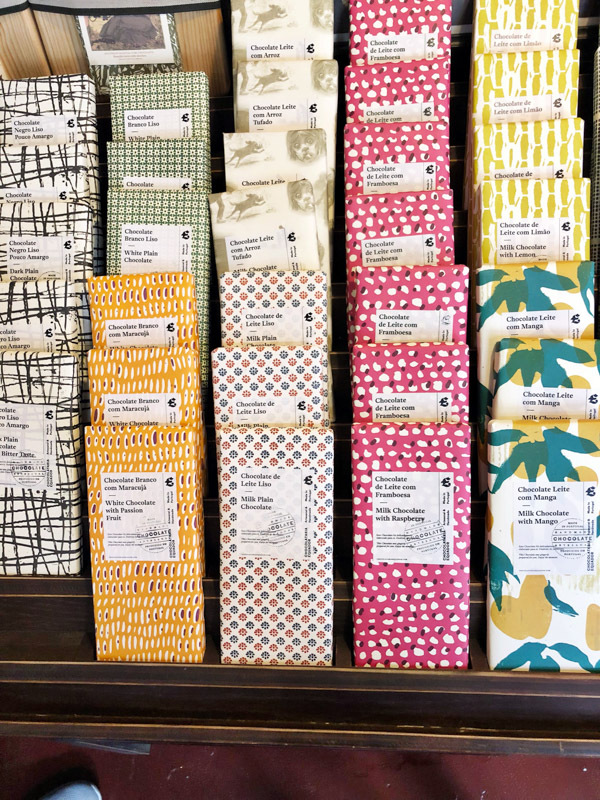 The products aren’t natural, but you can still admire the beautiful paper packaging, which seems to be a signature of Porto design/retail culture. Downstairs there’s an enviable giant marble sink where you can sample the hand soaps. Upstairs, is a detailed history of the brand’s evolution from its founding at the turn of the century when personal hygiene was considered optional, and soap was the ultimate luxury. 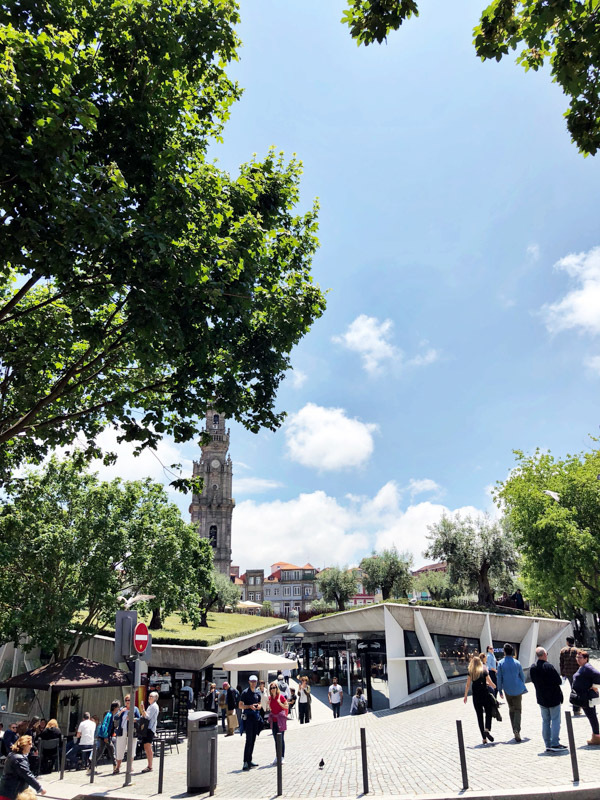 Mercado Porto Belo – On weekends, this square turns into an artisan market with some of the vendors from the Urban Market and a few vegetable stands. 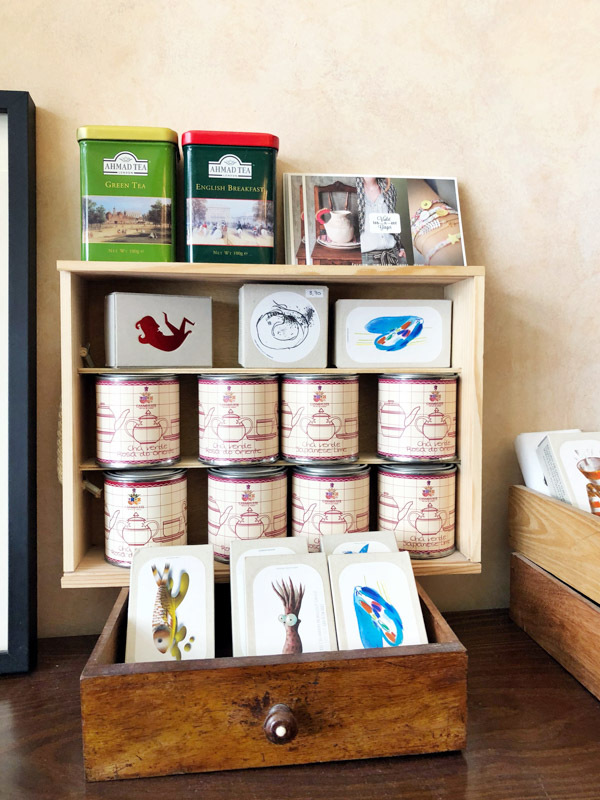 It’s a great place to buy honey, jams, prints and other gifts. Livraria Lello – Also known as the “Harry Potter Bookstore” (after all, Rowling dreamed up her books in this city!) 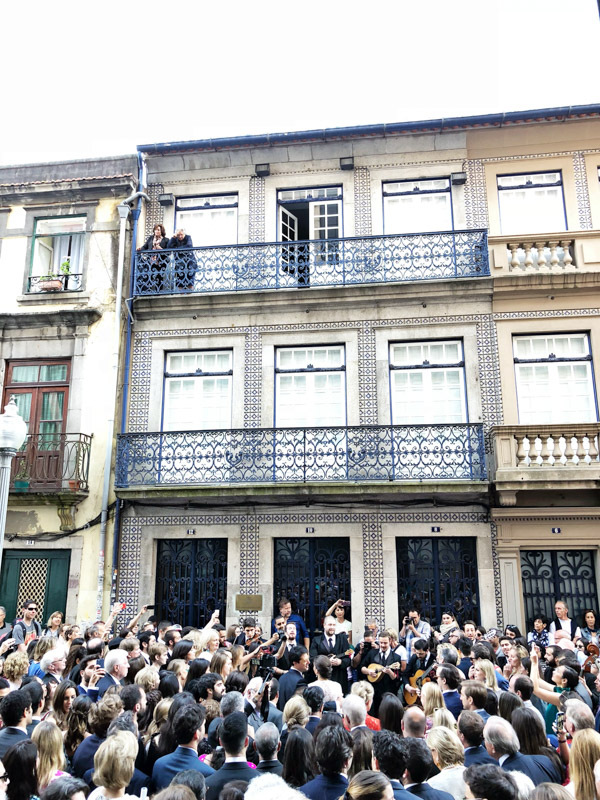 this old livraria often has a line around the block to get in for a viewing. You can buy tickets in advance to avoid them. It’s also right across from a beautiful park that perches on top of a stretch of stores. 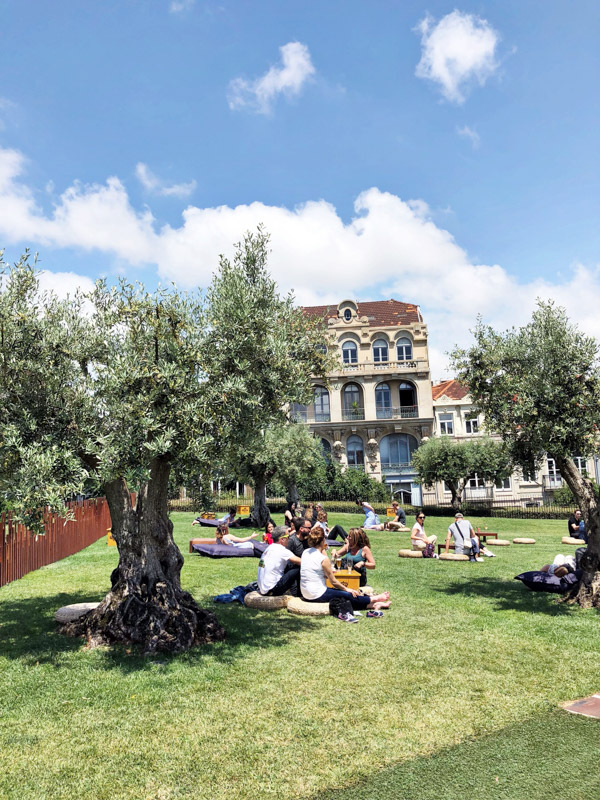 Base – An outdoor bar on the stretch of park mentioned above with floor pillows and lawn chairs that are perfect for lounging in the shade of olive trees. It’s a great place to enjoy a daytime vinho verde inland. A Tasquinha – This authentic restaurant was highly recommended by my AirBNB host. They didn’t speak amazing English but I managed to communicate my gluten allergy. Most of the seafood in Porto was breaded and fried, so at times it could be hard to find alternatives other than a whole fish. 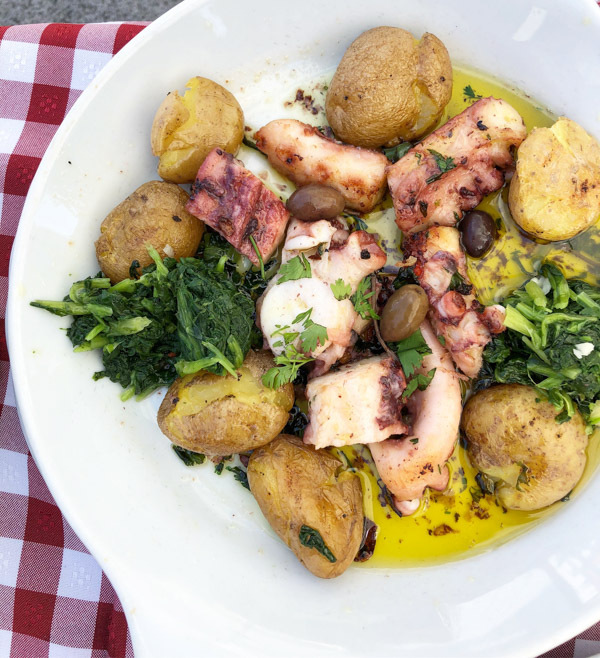 The octopus though—drenched in olive oil and surrounded by melt-in-your mouth baby potaotes—was worth the trip alone. We ate it with a side of tomato rice. 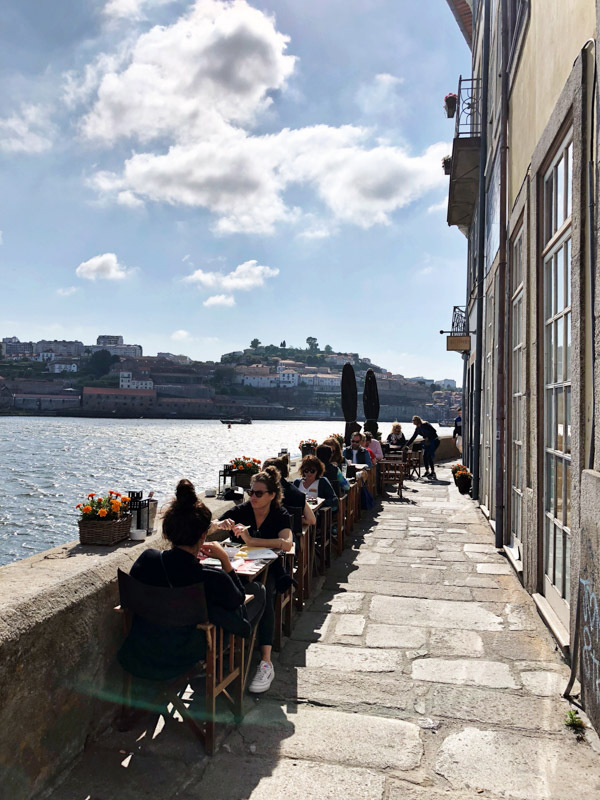 Ze Bota – Around the corner from A Tasquinha, but not open for lunch, this restaurant is considered one of the best in Porto. 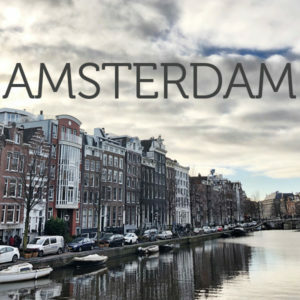 I didn’t manage to make it there, but it was recommended by locals and travels sites alike. Muralha do Rio – By the water there’s a stretch of restaurants that line a narrow walkway, where you can enjoy a meal al fresco overlooking the river. This is only doable for groups of less than 4, since it’s a tight squeeze. We happened to find a table at this one and ended up really enjoying our meal there. 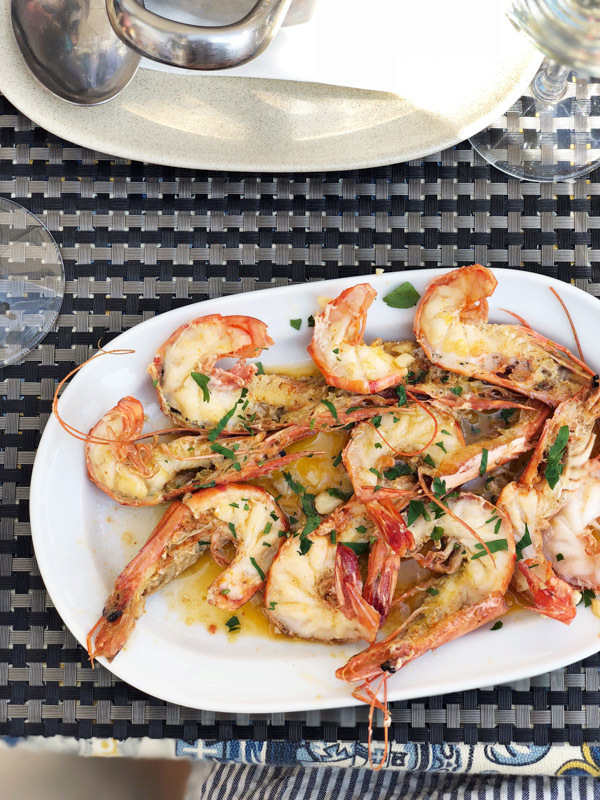 The prawns with garlic was a perfectly sized appetizer, and made a deeply satisfying meal with a side of tomato rice. Be warned that said side arrived in a giant steaming pot—but it was the most flavorful tomato rice of the trip. They also have omelets all day served with buttery rice if you’re looking for something vegetarian or a break from seafood. Restaurante Terra – If you make your way to the ocean, I highly recommend visiting this upscale sushi place in Foz. Yes, that’s right. SUSHI. The chef’s “freestyle” platter included slices of amazing local fish and some of the most creative rolls I’ve encountered. Even the vegetarian sushi platter was exceptional and gorgeously presented. Other highlights were the prawn and zucchini pasta (sadly not GF) and the prawn and zucchini risotto, which was! Warning they did not have GF tamari. I used just a splash of regular soy sauce and fresh lemon. 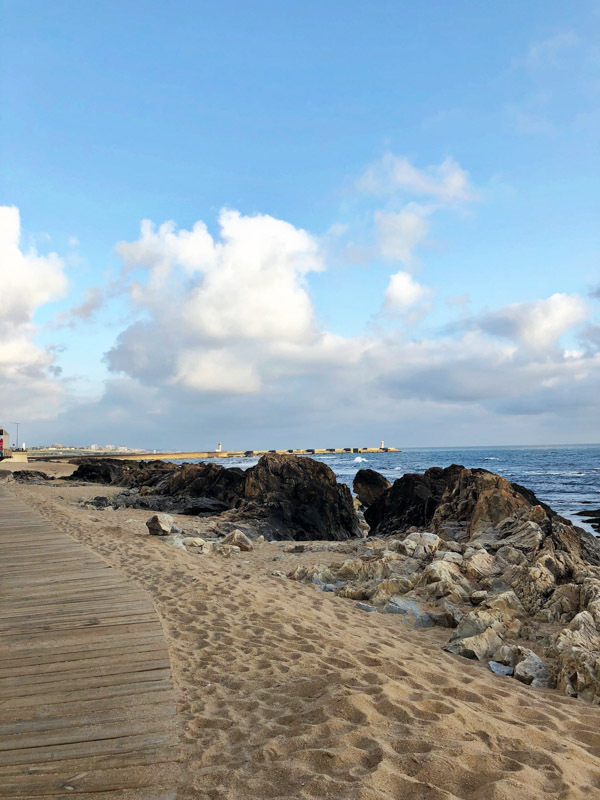 Praia da Luz – A great place with an outdoor patio right on the sand to enjoy a sunset cocktail by the ocean in Foz, and just a stone’s throw from Terra. They also had excellent padron peppers. The water was too cold to dip in while we were there, but I’d imagine renting a bike in town and cycling out to this stretch of beach would be a very fun activity in the summer. Fundacao Serralves – About a half mile from the ocean near Foz, this contemporary art museum housed in an old mansion is worth visiting for the gardens alone. The sea was quite windy and chilly in May, so this was another nice option for being outdoors. daTerra – For a break from the norm, this all you can eat vegetarian buffet looked beyond delicious. If I had had more than a few meals in Porto I would have definitely ventured here for lunch. 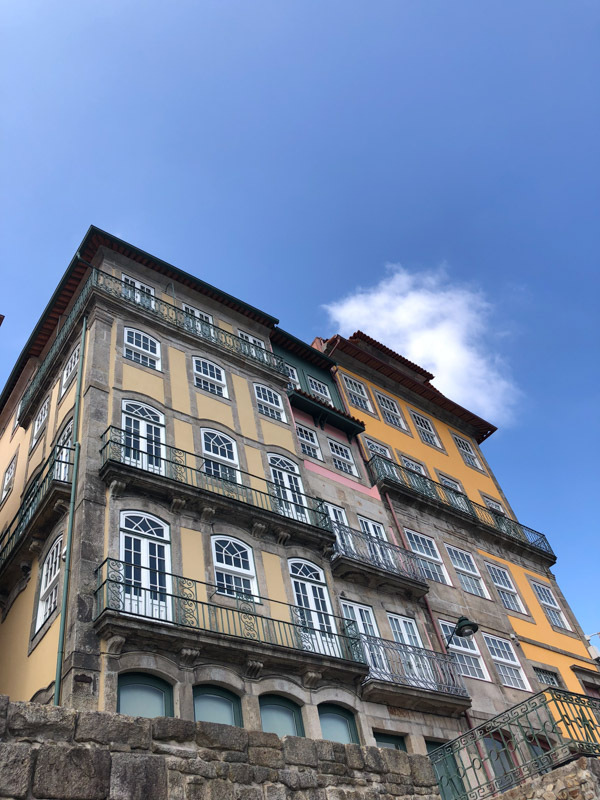 Nabos da Pucara – A modern take on traditional Portuguese dishes that has locals and tourists alike lining up along the block. This is a fantastic stretch for eating and drinking. When we couldn’t get into this place (and it was 11pm!) we ended up at the spot below. 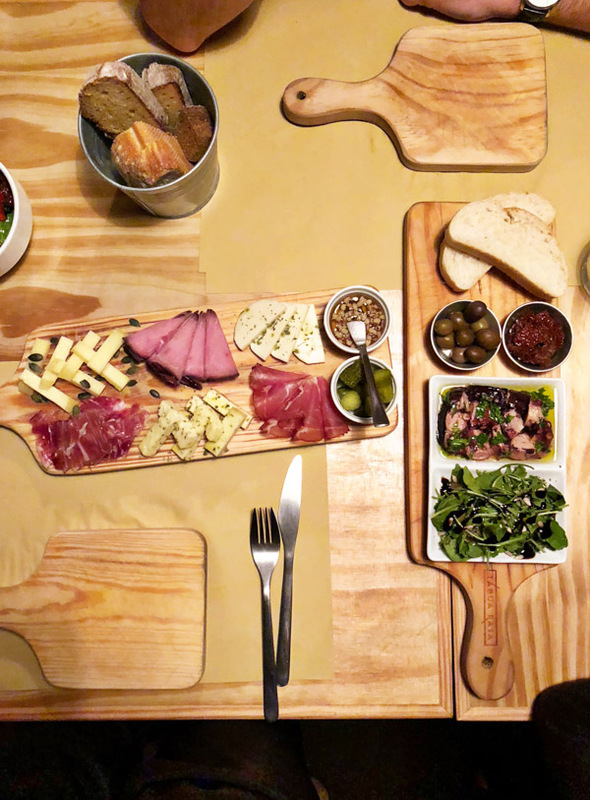 Tabua Rasa – This narrow wine bar felt like it might be right at home in Brooklyn. Everything on the menu (for the most part) is comprised of high-end local canned goods. The octopus was disappointing, but the meat and cheese boards were delicious. If you’re looking for a place to grab a drink before the clubs and enjoy some nibbles at the same time, it’s a perfect spot. Cafe Progresso – A great place for a healthy breakfast or a coffee. They even had matcha on the menu, though after ordering it, I’d suggest you stick with the coffee of their roots! Cafe Majestic – This is the oldest coffee shop in the city, and also the famed spot where J.K. Rowling would write down ideas for her series on the backs of napkins. The Belle Epoque architecture is indeed majestic and no doubt influences many of the interiors written about in Harry Potter. have you ever been to portugal? I’d love to know some more of your recommendations in the comments section!